KATHMANDU, April 03 : With the onset of spring season, the most favourable season for mountain climbing in Nepal, mountaineers have started flocking to the mountains including Sagarmatha, the world's highest peak. 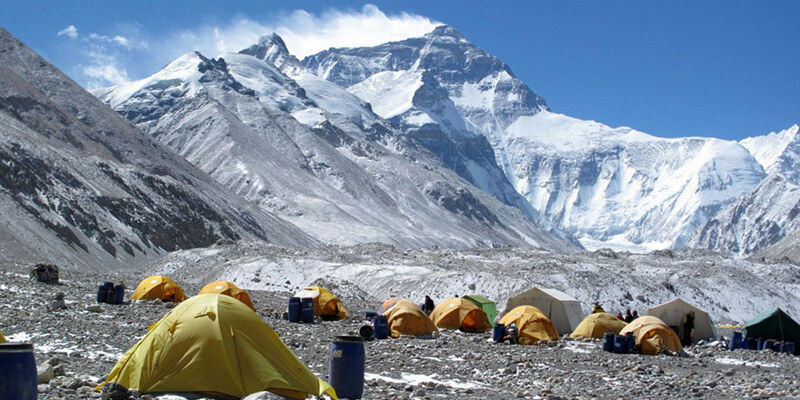 The Department of Tourism said that a total of 23 teams till Monday have been granted permission for the expedition to various peaks including the Sagarmatha (Mt Everest), Makalu, Kanchenjunga, Lhotse and Amadablam. Among the 23 expedition teams, 15 have got permission to ascend Mt Everest. The Department has already deputed liaison officers for the expedition to the mountains above 6,500 meters. Department Director General Dinesh Bhattarai said the Department has been stricter from this year to further systematise the mountain climbing and make it safer and responsible. The climbing will kick off from the first week of May. Some expedition teams from aboard are on the way to Nepal. The last year's data show that 834 people of 108 teams scaled various peaks of Nepal including the Mt Everest and this figure was 740 of 98 teams in the previous year. The government charges Rs 1.1 million per head as royalty from foreigners for the permission to climb the Everest and this charge is Rs 75,000 each for Nepalis. A foreign national spends from Rs 3 million to Rs 10 million for an expedition to the Everest once. Trekking Camp Nepal's proprietor Wangchu Sherpa, said a climber has to spend over Rs 3 million extra beside the royalty to climb the Mt Everest. An expedition team consists of seven to 15 members. The Department is planning to tighten the screw on the climbing in a bid to manage and make it safe and responsible, and discourage disputable activities like the scaling of the Everest by forging documents, sort of which occurred in the past. The Department Director General is working himself in this regard in line with the Tourism Industry Service Delivery Directives, 2070. Likewise, information about climbing mountains is required to be approved from the Department before disseminating. This means to eliminate misinformation about mountain scaling, said the Department. Climbers are required to carry at least six oxygen tanks, and are banned from using drone cameras during the scaling. Likewise, bringing flags to top of a mountain is tightened, and garbage management has been prioritised. Helicopters will be used for only a rescue, and they are not allowed to land at and near the base camp. In case of violation of these rules, summiteers are subject to a range of fines like they will be stripped of certificates, their deposits will not be refunded, and they are banned to visit Nepal again for five to 10 years for a foreigner.